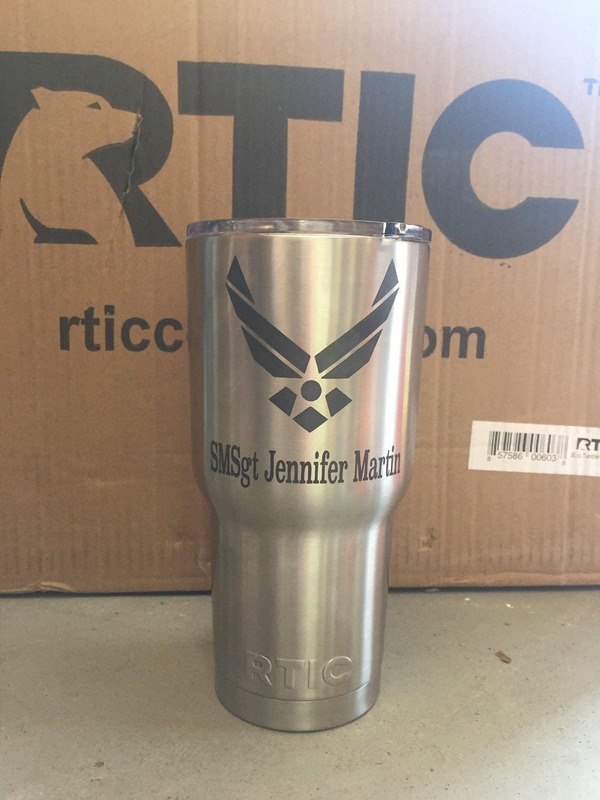 Military Engraved RTIC Stainless Tumblers- Great for Gifts! 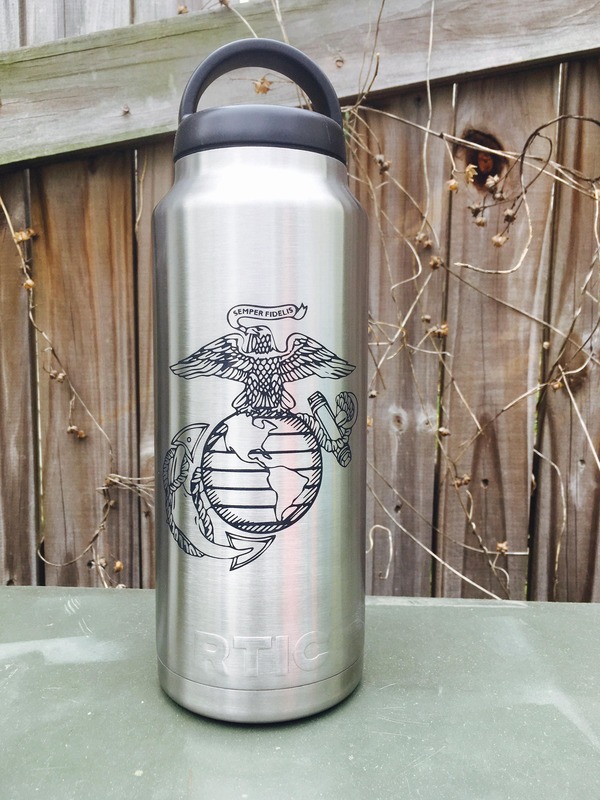 I can make them with almost any military decal, flag, saying, or just about anything your heart desires. 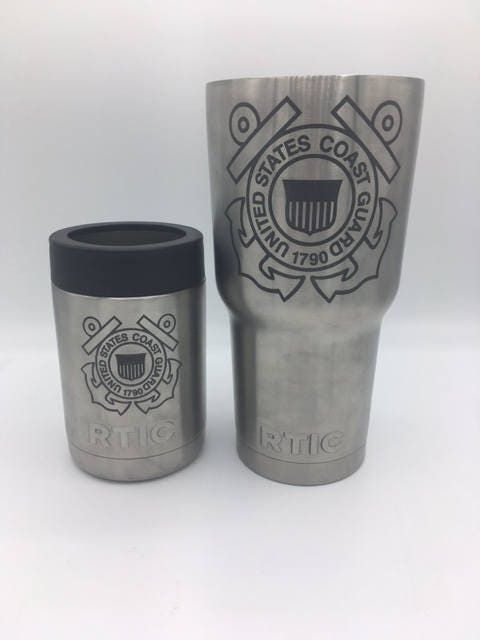 If it looks good in black and white it will look good on this cup. Please let me know what you would like in the notes section when you order or send me a request for custom order. If you would like a single name or additional decal etched on the opposite side choose that option and add the requested name or both decals in notes when checking out. Will attempt to match name fonts to logo. Please check out my other listings! You'll be happy that you did!! Please contact me for bulk ordering. Military, Police, Fire, & EMS Discounts offered. Please put which discount your qualify for in the ordering notes and we will refund 10% of the purchase price ASAP. Discounted shipping on more then one item. These cups are almost exactly like the popular Yeti. EXCEPT HALF THE PRICE. 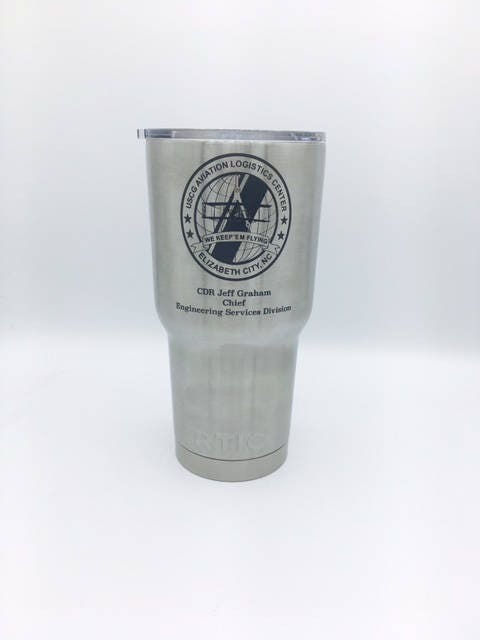 Tumblers are stainless steel, double wall vacuum insulated. 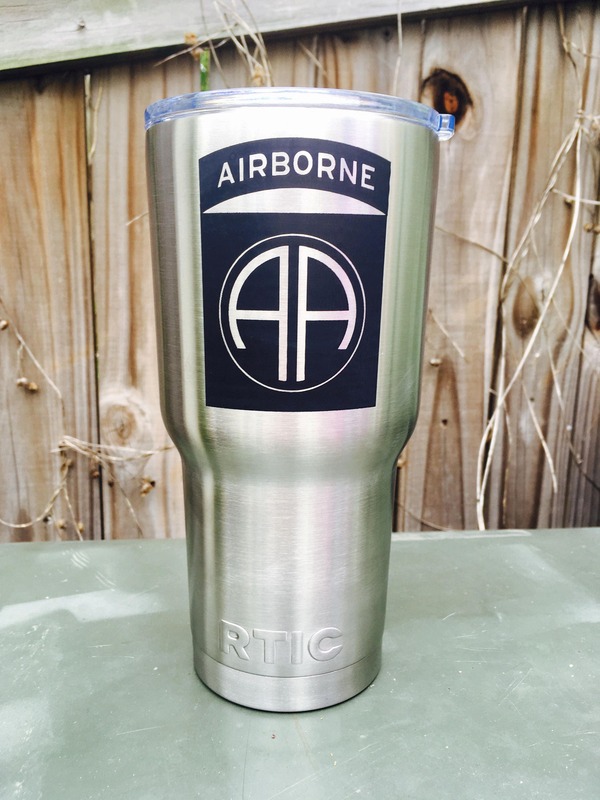 Keep your drinks ice cold longer - works great for hot beverages. Easy to clean. Can keep cold for up to 30 hours. **Brand may vary but will always be top quality, I promise. I accept Credit Cards & PayPal. All payments are in US Dollars. Discount not available on listings with **Special** in headline. Most of the time I ship wicked fast, often on the same day. I ship First Class mail (if item meets weight requirements,) otherwise i ship priority through USPS, or UPS Ground, TO THE ADDRESS YOU HAVE ON ETSY, you are welcome to contact me if you wish to upgrade to priority or express. I do my best to make these pictures look like the real deal so choose carefully! Please let me try to resolve the issue first with you, but if you need to return something, let me know within 3 days of receipt of the item. I'll refund you the purchase price when I receive the merchandise in original condition. Shipping is at the customer's expense. PLEASE NOTE!!!! There is a 20% re-stocking fee on all listings. ** please note there will often times be communication from me for you to approve your artwork before i make it permanent. This may extend item production times. If we do not get a response from you first we will extend shipping date, if still no response we will then at our discretion either ship or cancel the sell. Will I like what I buy? You will not only like it, you will LOVE it.